The Apple Online Store accepts a variety payment methods. Credit and debit cards are processed immediately and are Apple’s preferred payment methods for fast delivery. Learn more about paying by credit or debit cards. 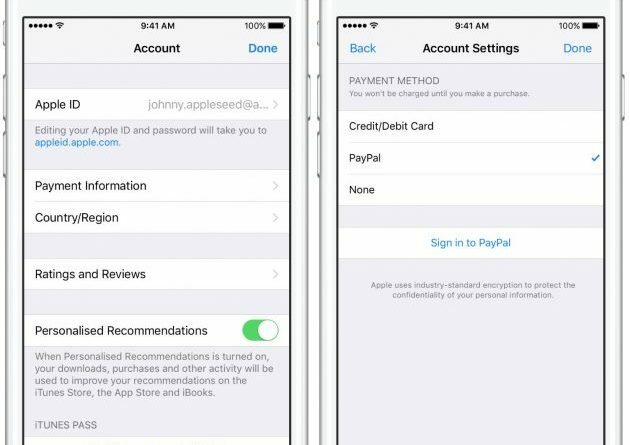 When you place an order, Apple contacts the bank that issued your credit or debit card to confirm that it’s a valid account, and requests a pre-authorization (which holds the funds for the full or partial purchase amount). While your order is being processed, the funds pre-authorized by the bank will be unavailable and may display as “pending” on your card’s online statement. Once your order is dispatched, your card is charged. If you cancel your order before your card is charged, however, pre-authorization amounts on your credit card account can take up to 30 days before you can use that credit again. Pre-authorization amounts on your debit card account can take up to 10 days. Contact your financial institution for more information and specific timeframes. The Finance Programme Consumer and Education on the Apple Online Store can help you buy Apple hardware, software, accessories and services and spread the cost. Learn more about Finance for Consumers and Education. Whether you’re buying for yourself, as a gift or buying for your studies, financing on the Apple Online Store is the most affordable way to spread the cost of Apple hardware, software, accessories and services. Important: If you choose Financing, the delivery date in basket and checkout may not apply. Your delivery date may be later due to the time required to process your financing application. When your application is approved, you will receive an email with the updated delivery date. Learn more about Financing on instalments with PayPal Credit. If you are buying for a business, you may enter your VAT registration number when you choose your payment method and when you verify your order during the check-out process. The VAT registration number will be printed on your invoice. Your Apple Store purchases will be taxed using the applicable VAT tax rate for your country. No intra-community purchases can be made on the Apple Store. Apple are not permitted to refund any VAT charged on UK purchases due to local legislation restrictions. The Apple Store (UK) is not a part of the Retail Export Scheme, as this scheme does not apply to Internet Sales. Within 2-3 working days of your order being shipped, you should receive an official Apple invoice bye-mail. If you need assistance with viewing or printing your invoice, please contact an Apple Online Store representative 0800 048 0408. The security of Apple Store servers is closely monitored to prevent any unauthorised disclosure or use of credit card numbers and to protect the confidentiality of your personal information.